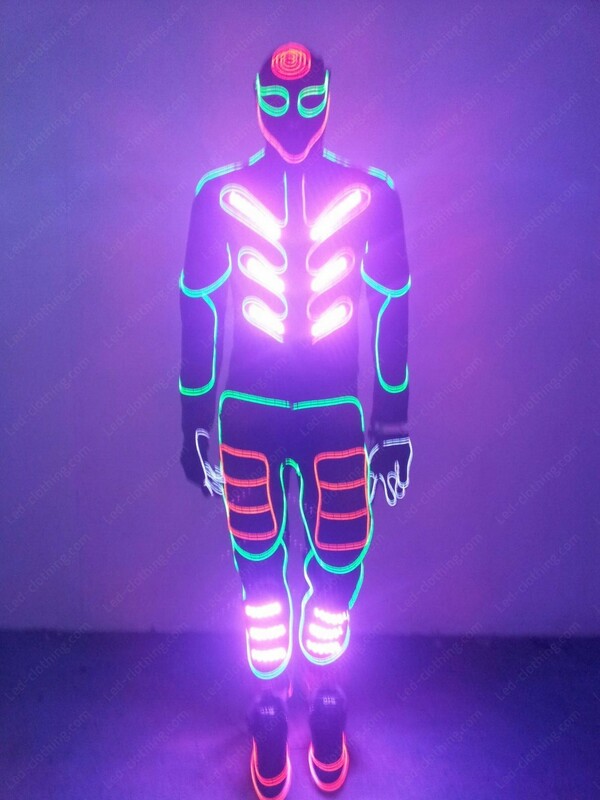 Neon Tron LED & Fiber optic dance costume | LED Clothing Studio Inc.
Shockproof ultrabright LEDs & fiber optics. 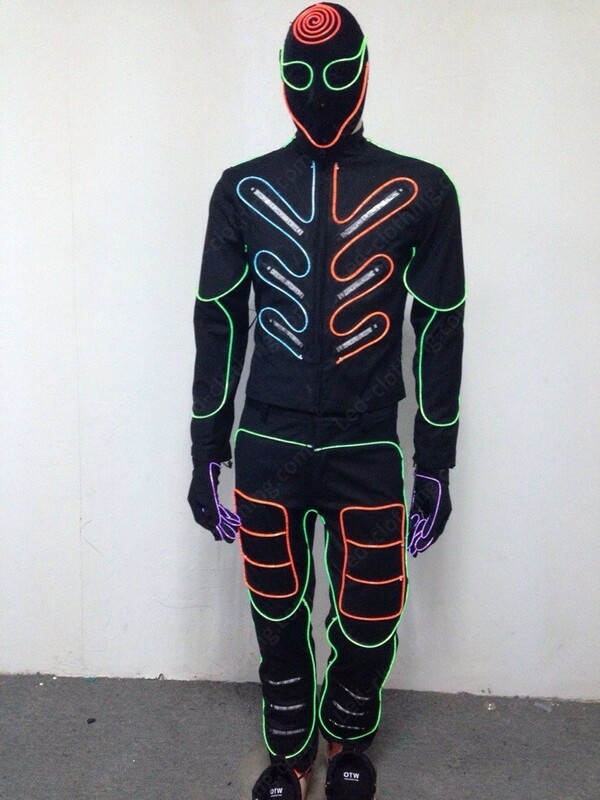 Charge your dance with a neon light of our exclusive Tron NEON LED and Fiber optic costume! 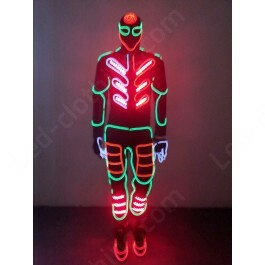 Designed specially for dancing troupes this costume features a high quality fiber optic wires and shockproof LEDs and will be a reliable partner to you any time and any place. 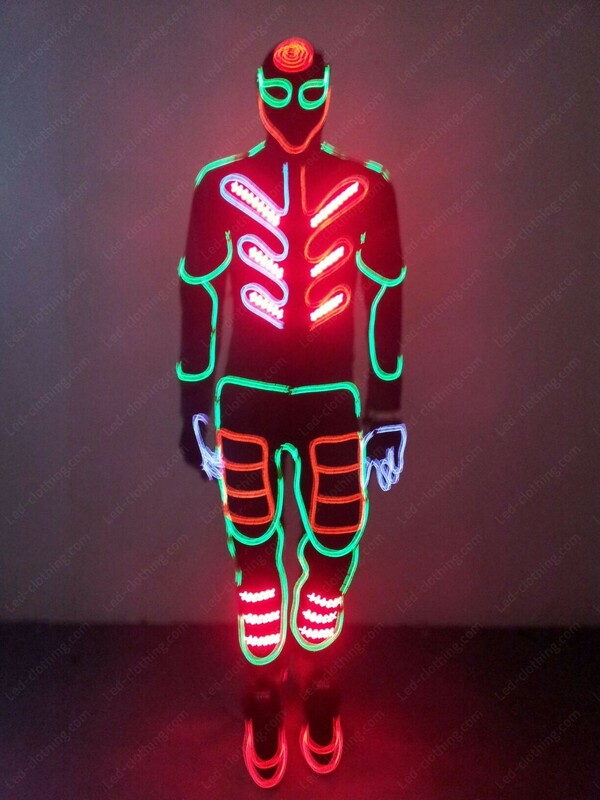 Quite a number of effects coming with our Tron LED and fiber optic suit is controlled by an independent controller of two possible types: SD card controller and wireless DMX controller. No matter how complex your dance is you can easily adjust your costume light effect to your moves and music tact. Pulsating in the dark, awe inspiring this costume will be a great feature to any night show or performance, simply awesome.